The description how you need to activate this setting can be found here. Once you have activated the account setting which allows you to track your campaigns within Google analytics. 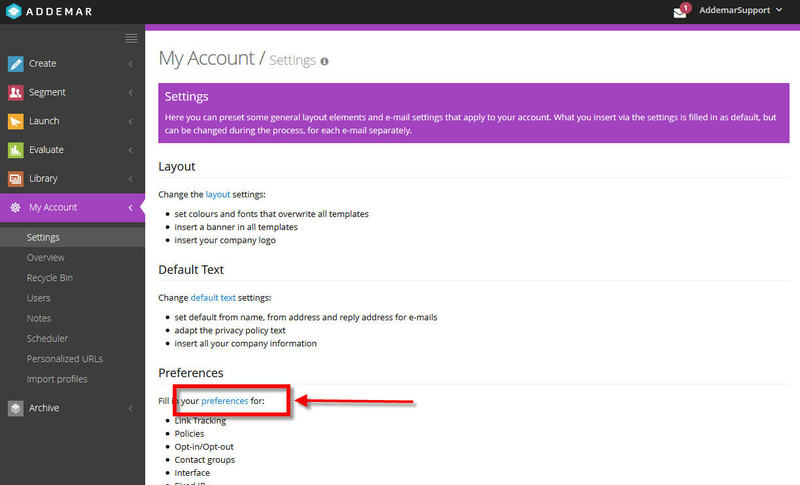 You can set up your default setting in our platform at account level. In our application, go to My Account - Settings. Once you have clicked the preferences link, a popup will open up. When this option is set to YES, our application will track also mailto links. If this option is activated all anchors link will open your campaign in the online version which allows us to track anchors links. When Google Analytics integration is activated you can fill in the account Google Analytics parameters. 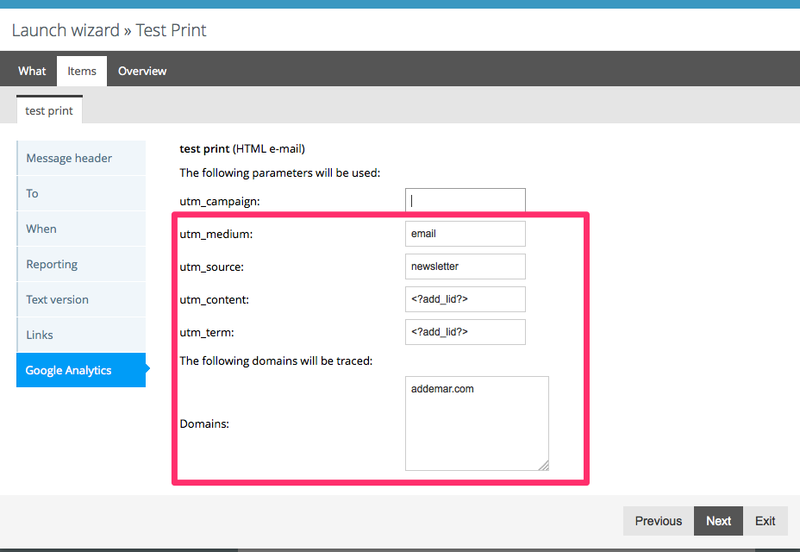 You need to specify your UTM paramaters and your Tracking domain(s). You need to specify the utm terms which will reflect into your google tracking analytics. ( We have prefilled the most logical terms ). Here below are the google analytics descriptions. Required. Use utm_source to identify a search engine, newsletter name, or other source. Required. Use utm_medium to identify a medium such as email or cost-per- click. Used for paid search. Use utm_term to note the keywords for this ad. Used for A/B testing and content-targeted ads. Use utm_content to differentiate ads or links that point to the same URL. Used for keyword analysis. Use utm_campaign to identify a specific product promotion or strategic campaign. an example which can be filled is www.addemar.com. When you launch this campaign where you have specified the google tracking terms. Our software will add these google terms dynamicly after each link in your campaign, allowing google analytics to track who clicks through from a Addemar campaign. Once these settings are filled in they will be default loaded in the launch wizard. These settings are default filled in but can be overrided on campaign level. Can I integrate Google Analytics? 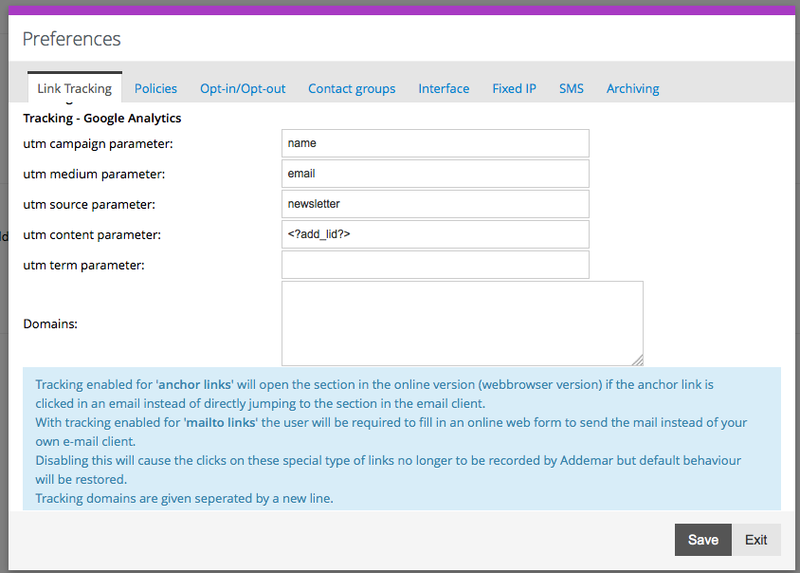 How do I setup link/mailto tracking? How do I enable tracking for mailto and/or anchors links in my email client? 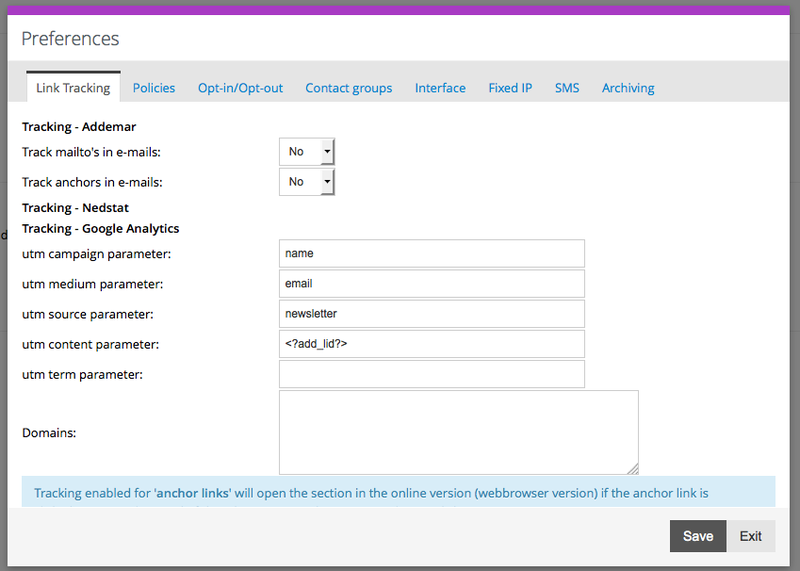 Can I set preferences for link tracking? Why does my email with anchors always open in a new window?